I loved this YA book. The cover’s cute and the writing is quite gorgeous. “Calling My Name” is the beautiful story of a young Black girl named Taja, growing up in a middle class, Southern Baptist family in Texas. 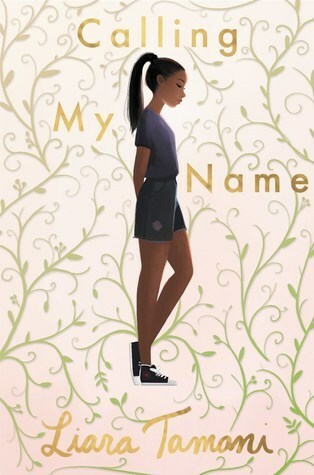 The story begins with Taja as a young girl and follows her through her senior year of high school through a world of ‘firsts’–social awkwardness, wearing a bra, friendship drama, sibling and family relationships, her first kiss, losing her virginity. Each chapter is named and presented vignette style, with quotes from various Black women authors (Toni Morrison, Zadie Smith, Zora Neale Hurston) interpolated throughout the text as themes for what follows. I also loved the lovely ambiguities here: we’re never told explicitly how old Taja is, though the passage of time as the novel progresses is evident. Also nebulous is the exact time frame in which Taja’s childhood takes place, surrounding references to pop culture and relics such as acid-wash jeans allude to the late 80’s through the mid-90’s. I loved, however, that time really didn’t seem to matter here: Taja’s life could be today, 20 years ago, or even as far back as 40 years ago. I’ve always maintained that the best books do not have to explicitly state everything they’re made of, and this book knows that and much, much more. Religion, specifically the Black Southern Baptist tradition, plays a prominent role in this book. Taja’s parents are ultra conservative and tightly control her behavior, not wanting her to fall into “sin” or become “used goods” before marriage. Taja’s identity as a Christian influences much of her thoughts and actions, leading to several conflicts as a teenager until she eventually finds her own voice as an individual, shortly before leaving for college. Reading this book was emotional for me. It is the first book that so closely mirrored my own experiences as a Black girl in the 80’s and 90’s, growing up in very much the same middle class, conservative Southern Baptist family dynamic. The stereotypical ‘problems’ that we typically associate with the narratives of people of color (you know, incidents of racism, poverty, substance abuse, economic struggle) were largely absent here, which I have to admit that I appreciated for a change. This is not a story about any of those kinds of traumas–it’s a story about soul-searching, Black girl style. Throughout the reading of this book I wanted so much to simply applaud because finally, someone got it RIGHT. It goes without saying that I completely and totally recommend that you read this book.